Americanah by Chimamanda Ngozi Adichie has been selected for the 2015 “One Book — One Lincoln” program. The fourteenth annual One Book – One Lincoln community reading program began on May 25, 2015, with the announcement of Chimamanda Ngozi Adichie’s powerful and thought-provoking novel, Americanah, as the selected title for 2015. The scheduled events of One Book — One Lincoln — 2015 will take place throughout this summer. What makes us “who we are”? What special programs will there be? 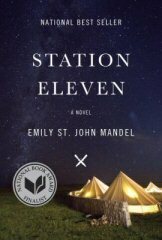 What other books were considered for 2015? Click Here to visit the the official One Book – One Lincoln Finalists page for more detailed information about the Top Three titles; the Top Eleven titles for 2015 have also now been added to the Finalists Page! This is Lincoln’s 14th straight year of the program. Since 2002, the citizens of Lincoln and the surrounding communities have been encouraged to read the same book each fall, and participate in special programming and book discussions. Each year, readers in Lincoln have been invited to nominate titles for consideration for that year’s selected title. You can see an archive of the previous twelve years’ worth of One Book – One Lincoln selections at our One Book main page (although the individual pages for each previous year are still being converted for use on the Lincoln City Libraries’ all-new web site!). Lincoln City Libraries Reference staff are in the processing of compiling additional resources about Americanah and Chimamanda Ngozi Adichie. Get the Book. 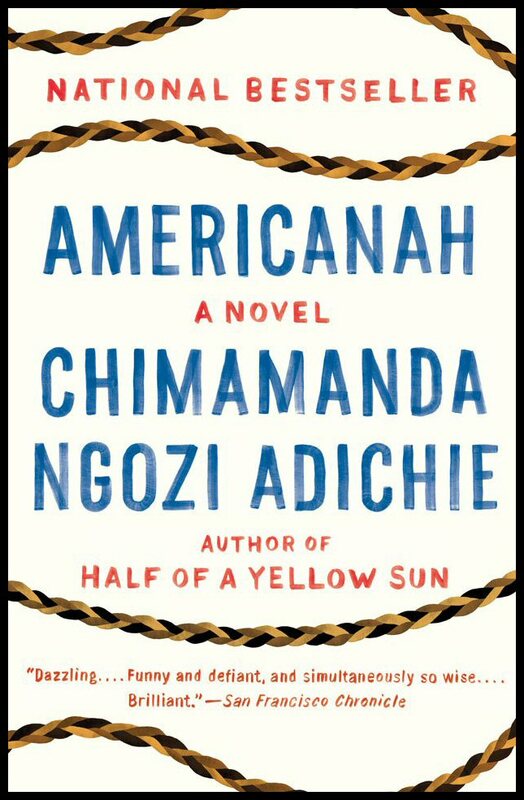 Check out a copy, in print, audio or downloadable formats, of Americanah at any of the Lincoln City Libraries or purchase your own copy at your local bookstore. The title is available at Lincoln City Libraries in a wide variety of physical and electronic formats. This title is also available as a Book Club in a Bag version, for book clubs wishing to check out multiple copies at once! Read! Join your family, friends, co-workers, neighbors and fellow Lincolnites in reading the same book – together! Watch an informational program about this year’s One Book — One Lincoln which will begin airing on CityTV (Channel 5 local cable) later this spring on both Channel 5 and the On Demand channels. Look at our upcoming Resource Page about Americanah, and watch for the official expanded schedule of events, to be announced in June and July! Discuss the Book in Person or Online! Attend a Community Discussion of Americanah at your local library or bookstore. A complete list of Community Discussion opportunities will be available here soon. Print off the official Discussion Questions for your own book group, or contact the library to have a trained facilitator come and lead your own discussion group. Or visit our One Book One – Lincoln Blog to reply to discussion topics posted in a discussion forum (available again on our new web site starting in June). Nominate for future years — you can now nominate year-round for the next year’s One Book – One Lincoln with our online nomination form. So you want to have a One Book – One Lincoln discussion group for Americanah, but you don’t have a discussion leader? During June, July and August and beyond, Lincoln City Libraries staff will be available to organizations, businesses and clubs interested in hosting a discussion group. 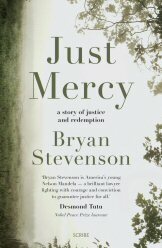 Visit our Finalists page, to request a book discussion leader via our online form, or for further information, call Lincoln City Libraries at 402-441-8503. Several special programs are being scheduled at various locations during July or August, with ties to the themes and events of Americanah. You can see descriptions at our One Book – One Lincoln Programs and Events page! A selection committee with community-wide representation was formed, which narrowed the list down to an eleven title shortlist, and ultimately to both the Top Three Finalists and ultimate winner, which were announced to the public on Memorial Day 2015.